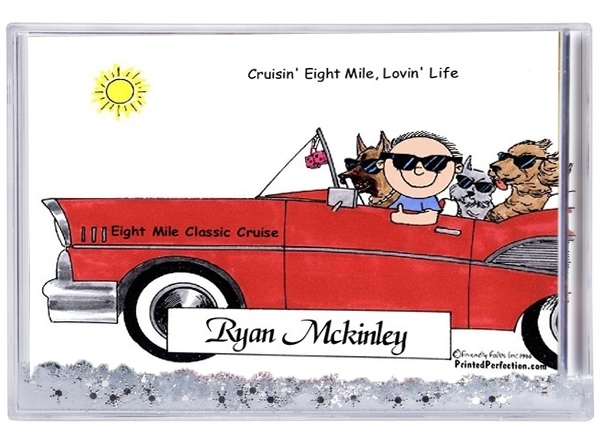 Personalized snow globe frame (snow frame), shipped fast! Adorable gift item, even at the last minute or for the person that "has everything". 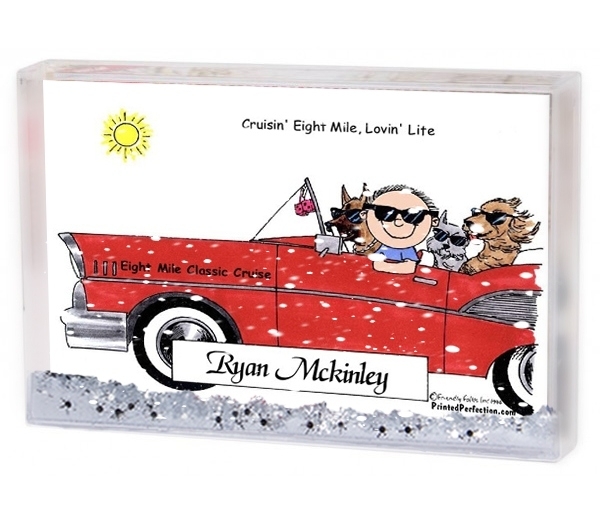 Personalized snow frame gives you the best of both worlds - it's a snow globe and a picture frame, with your personalized Friendly Folks cartoon caricature inside! The ideal gift for everyone, even if they're hard to buy for or you're shopping at the last minute. Our snow frames are double sided, and made of crystal clear acrylic, which allows you to see your cartoon from either side. Our snow globe frame measures approximately 6" x 4", and is factory sealed with sterile water and silver mirrored snow flakes, amidst sparkling bits of white snow. Made with archival safe products, our snow frame gifts are designed to last a lifetime, making this item a keepsake. Shipped in a fitted white box that is ready for gift wrapping.